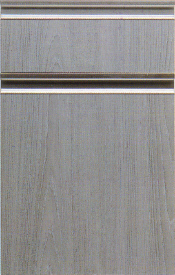 Description The 200-L-AL2 provides a unique combination of laminate and bright dipped aluminum extruded pull. An excellent choice for commercial office or contemporary kitchen applications. - Anodized aliminum pull with clear coat "brite dip"
- Pull section not to scale.